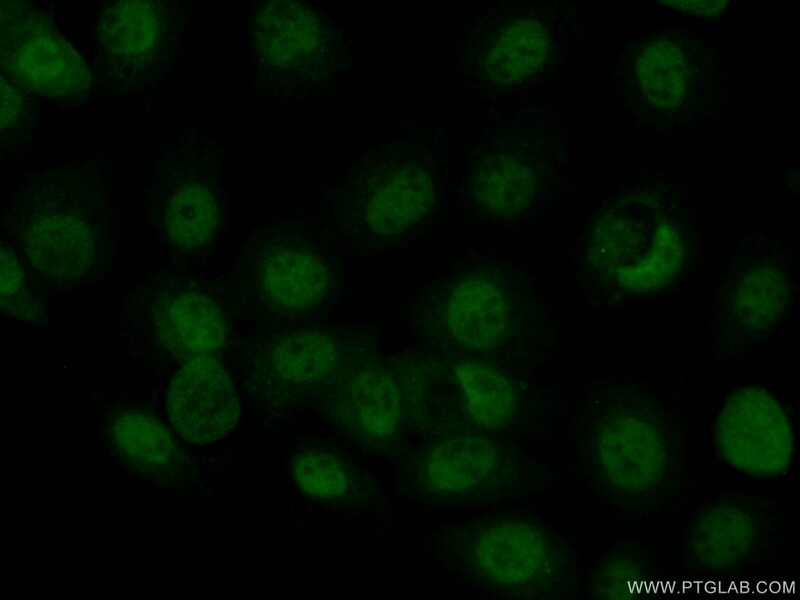 IP Result of anti-MAF (IP:55013-1-AP, 4ug; Detection:55013-1-AP 1:500) with A431 cells lysate 2000ug. MAF, also named as c-Maf, belongs to the bZIP family and Maf subfamily. 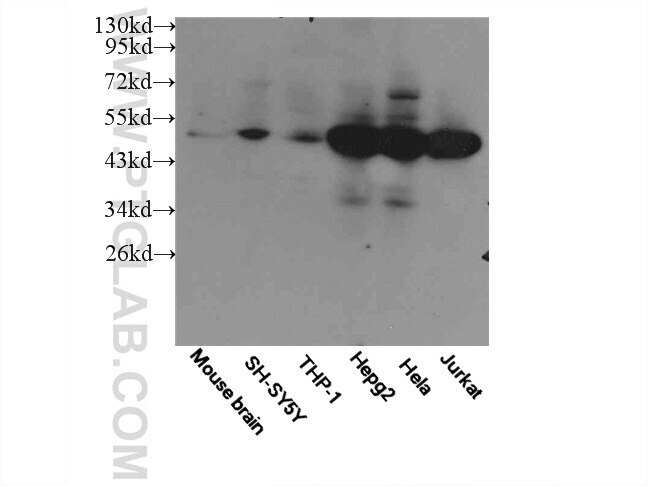 MAF acts as a transcriptional activator or repressor. It is involved in embryonic lens fiber cell development. MAF increases T cell susceptibility to apoptosis by interacting with MYB and decreasing BCL2 expression. Together with PAX6, it transactivates strongly the glucagon gene promoter through the G1 element. MAF activates transcription of the CD13 proximal promoter in endothelial cells. It is involved in the initial chondrocyte terminal differentiation and the disappearance of hypertrophic chondrocytes during endochondral bone development. When overexpressed, MAF represses anti-oxidant reponse element (ARE)-mediated transcription. 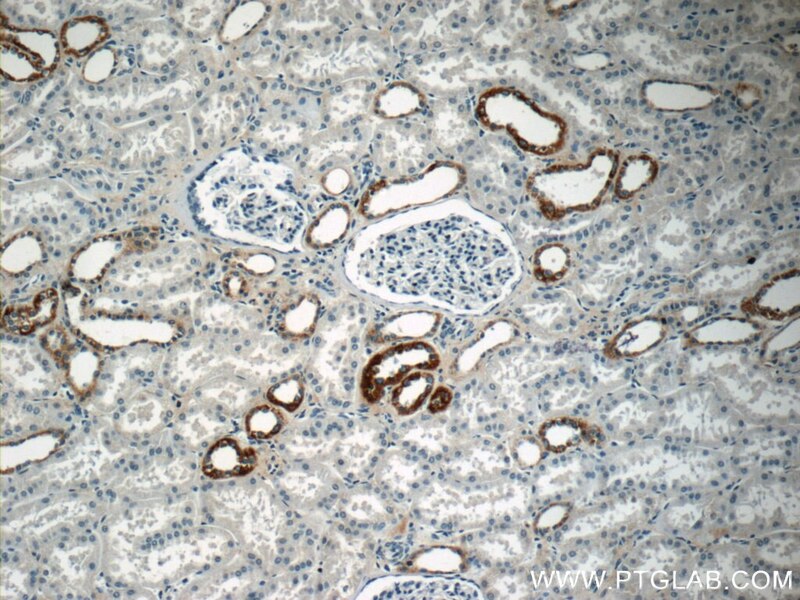 It is involved either as an oncogene or as a tumor suppressor, depending on the cell context. A chromosomal aberration involving MAF is found in some forms of multiple myeloma (MM). Defects in MAF are the cause of cataract pulverulent juvenile-onset MAF-related (CAPJOM). Defects in MAF are the cause of cataract congenital cerulean type 4 (CCA4). 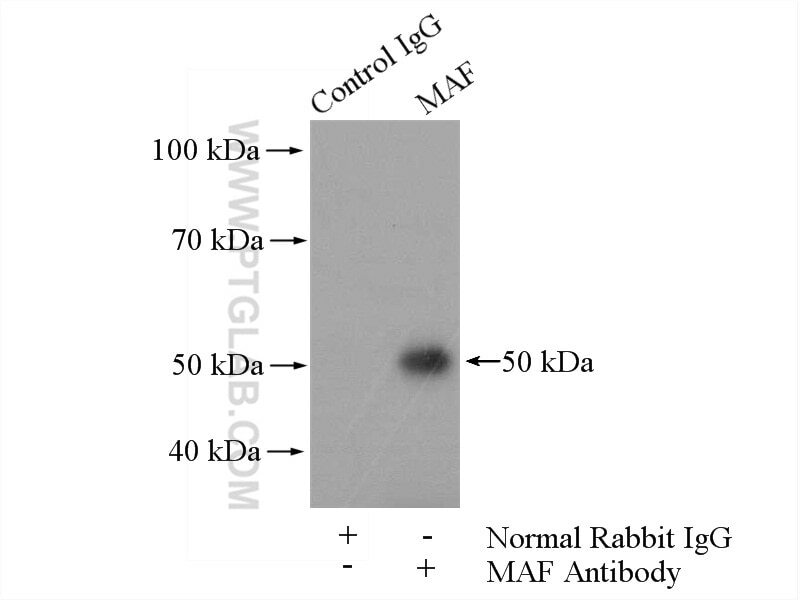 The antibody is specific to MAF. And it could recognise the 50 kDa band that also be detected in the paper (PMID: 25770584 ) . 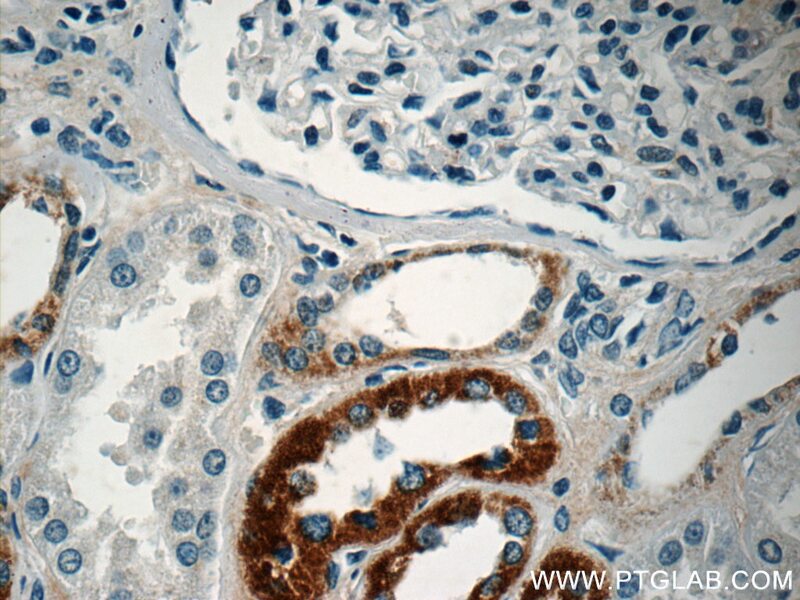 RAS P21 Protein Activator 3 (RASA3) Specifically Promotes Pathogenic T Helper 17 Cell Generation by Repressing T-Helper-2-Cell-Biased Programs.